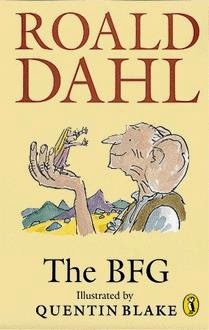 The BFG (short for "Big Friendly Giant") is a 1982 children's book written by British novelist Roald Dahl and illustrated by Quentin Blake. It is an expansion of a short story from Dahl's 1975 book Danny, the Champion of the World. The book is dedicated to Dahl's late daughter, Olivia, who died of measles encephalitis at the age of seven in 1962. As of 2009, the novel has sold 17 million copies in UK editions alone.